In any business organization, sales is an evitable factor as it is directly proportionate to business success and business longevity. The sales department is always put on hold and pressure for generating more sales, thereby more income and revenue to the business. One of the remarkable and critical jobs of sales is to bridge the gap between the potential client's needs and the organization offers like products/ services that can satisfy their requirement. Odoo ERP Sales Management module has always been in limelight for bridging these gaps- be it the generation of more leads, the creation of professional quotations or sales order, fulfillment of client requirements. 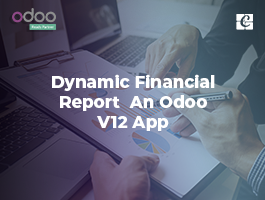 Odoo ERP is one among the most sought after business application among the SMEs and larger enterprises for varied reasons. 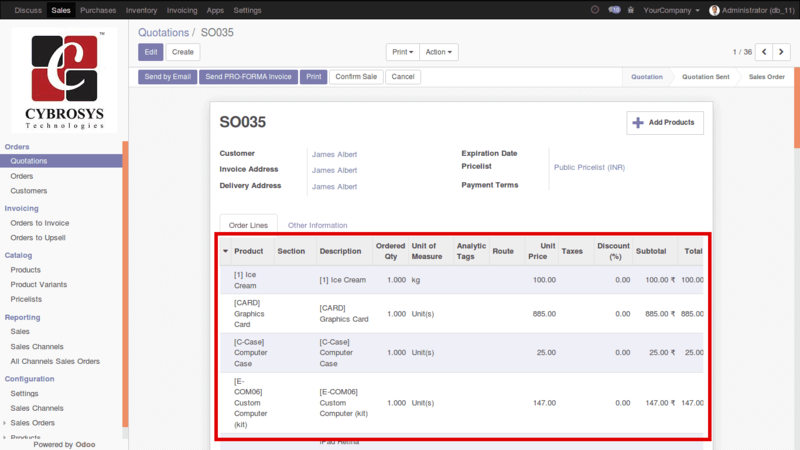 The sales module under Odoo enables the end user to have full control over the organization’s sales generation proceeds -such as the creation of new sales order, filtering of different sales order according to its prominence, the creation of professional quotations, getting quicker access to customer information, fully integrated invoicing and more. 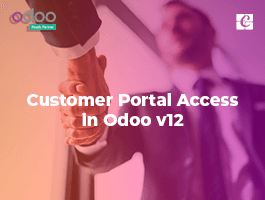 As with the other Odoo modules, the Sales module can also be subjected to a high degree of customizations based on the requirement of business. Cybrosys has crafted many Odoo apps under Odoo sales module. 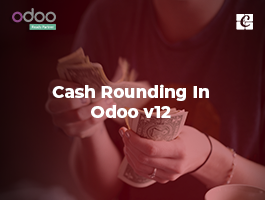 Our Odoo apps in sales are multi-dimensional featuring distinctive functionalities. Each of our Odoo app in Sales is unique. We make sure that our applications make it happen in reaching across more prospects in lesser time. 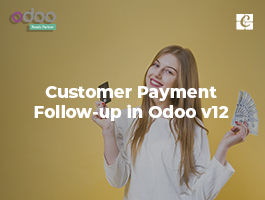 Each Odoo app of Cybrosys is crafted with a single mission – the seamless management of the entire buying cycle- from the leads to deals, from the quotes to invoices. 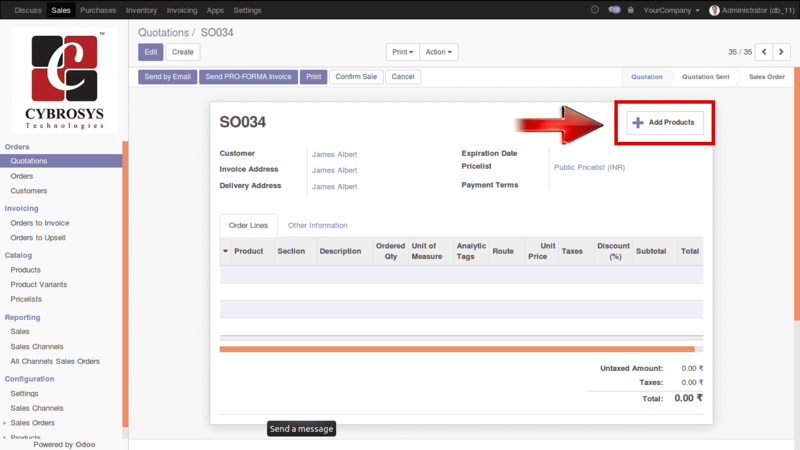 In this blog am introducing you to yet another Odoo app built by Cybrosys in sales modules. 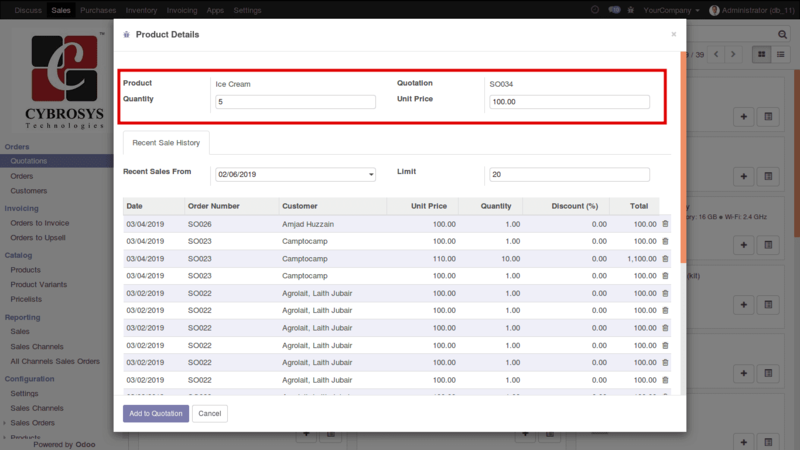 The app titled, ”Adding Multiple Products To Quotation Pro” is made available in all three versions of Odoo - Odoo v 10, Odoo v11 and Odoo v12. 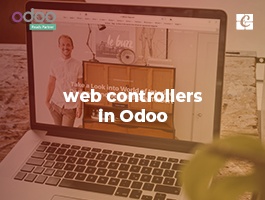 It comes tested and works well in both Odoo Community and Odoo Enterprise Edition. 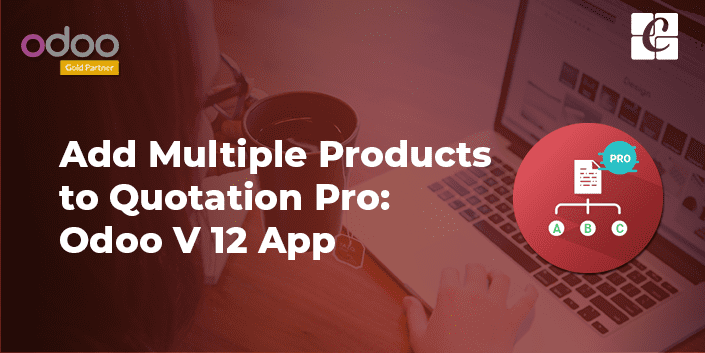 The module-Adding Multiple Products To Quotation Pro envisions in saving much time of the seller and customer. The app offers several functions like seamless searching of the products, adding the multiple products to the opened quotation and viewing of the product sale history. Using the application, one can easily search a product and add the very same product in the quotation or sales order without navigating back to the quotation. In the early scenario, this wasn’t the case. The end user had to navigate back to the quotation in order to add a new product. This process consumed much time of the salesman in executing his action. Secondly, the app enables the salesman to add multiple products to an opened quotation with or without changing its price or quantity. Further, the module also provisions to view the sales history of the selected products. The salesman can easily filter the history of selected products via choosing the date and setting sequence limit on the fly. 1. A smart button in sale quotation from view in order to select multiple products directly to the quotation. 2. Product listing in Kanban, L, st and Form view. 3. Two buttons enabling the product addition directly to quotation- with and without the changing product price and quantity. 4. Options to add product details like price, quantity etc. from the product menu itself. 5. Featuring of sales history of the selected product in the wizard window. 6. Option to change sales history date and sequence limit on the fly. 7. Selection of multiple products at a time. 8. Reducing time and improving efficiency. As soon as the end user opens the sales quotation form, he would find a new and smart button named ‘Add Products’ at the top right corner. The salesman can choose a customer and press the button. A kanban view on the selected products will be displayed as soon as the end user clicks on the button. There you would find two icons: The Plus Icon and the List Icon. The functionality of the Plus Icon is to add that particular product to the quotation without changing its quantity and price. Here the product quantity will be “1” and price will be the default price. On the other hand, the functionality of List Icon is to add that particular product to the quotation via changing its price and quantity. One can see the same icons in both tree view and form view also. In form view, a button named ‘Add to Quotation’ will appear instead of Plus icon. 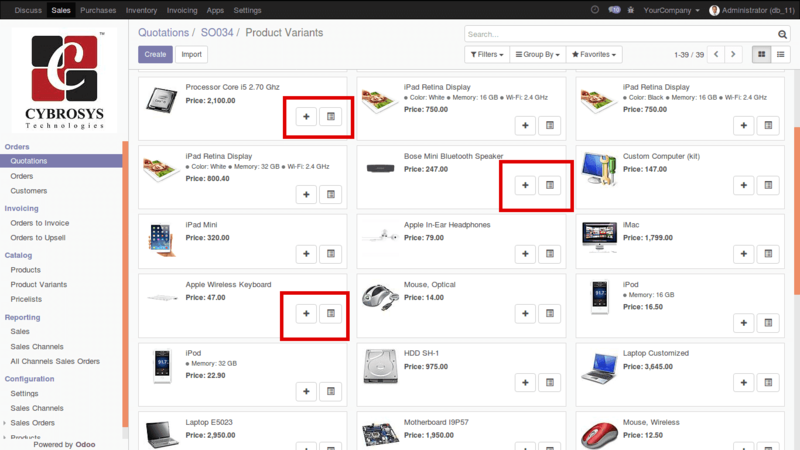 Once the end user clicks on the List Icon, a wizard window will be displayed, where the end user can change the product quantity and the price. Another advantage of this window is that its provisions to see the recent sale history of the selected product. In Recent Sale History tab, one can see two options. Recent Sales From: From the date of sales history. Upon choosing a particular date, the sales history following that date will be displayed. Limit: This is the option to decide how many rows should be made visible. The default value is 20. 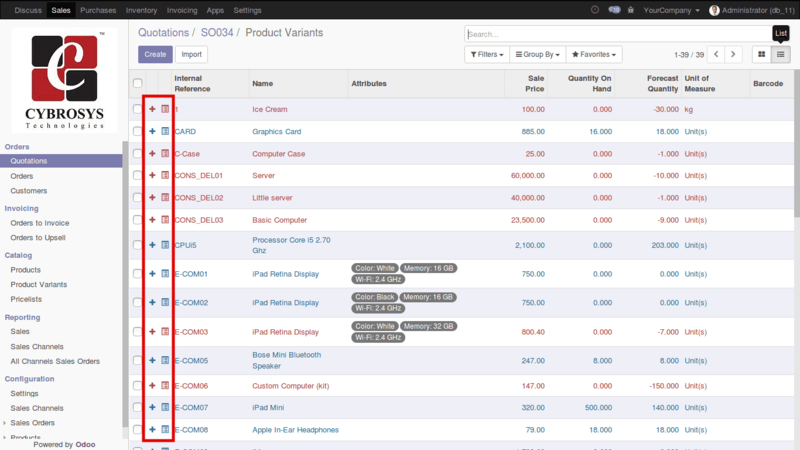 If the end user set the limit as 100, then 100 rows depicting recent sale history will be displayed. All the products that you have added to the quotation will be inserted to the corresponding quotation. Use case: This app can be highly beneficial for manufacturing industries. You might be thinking how? For example: let’s take the case of a screw and bolt manufacturing industry. The industry produces a single product under the name bolt or screw, however, each screw and bolt will be different in terms of their mechanical and physical properties. It will be hard for the seller to identify a specific product (eg: a bolt with particular head thickness and body diameter ) every time from the endless lists of manufactured products. Finding the specific one from the large list and further adding them to the quotation, in this case, can be strenuous and hectic. 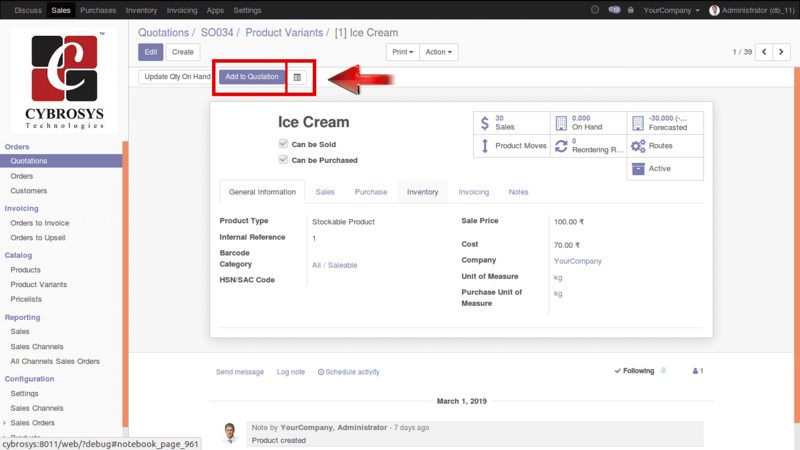 Here, the Odoo app- Adding multiple products to quotation will be of great help. It enables the seller with seamless searching of the particular product (bolt/screw)and further easily adding them in sales order or quotation without navigating back. Thus helping large in time-saving of the seller. The feature of Product listing in Kanban view, further help the industries in identifying the products from the image itself. There can be the cases, where the seller will not be familiar with the product name, in that case, he can easily identify the product from the image displayed and add them to quotation without moment’s delay. 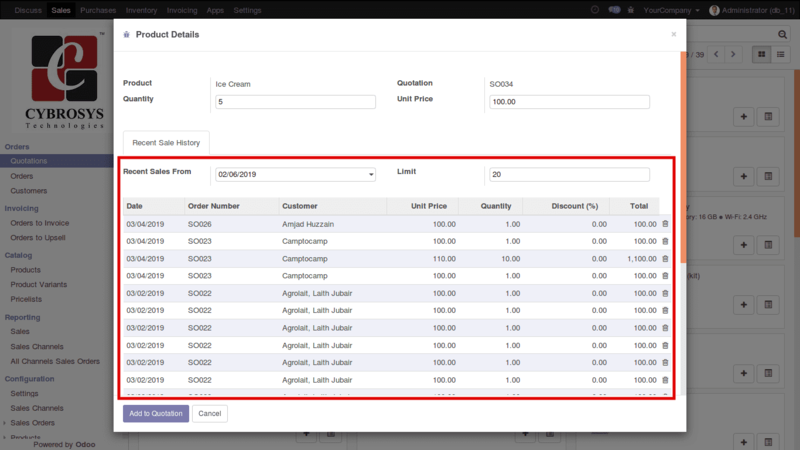 If you are interested in buying this Odoo app for your business go to Add Multiple Products to Quotation Pro and to avail the service of Cybrosys in Odoo drop a request to info@cybrosys.com.